Really now, what happened to this year? I hope I’m not alone, but I had a lot of plans and 2016 is going fast. One goal I had was to blog more this year. Um, well, gulp, let’s all keep looking forward and pressing ahead toward the goals we can still accomplish. Please share what end-of-year goals you are accomplishing – and surviving the holidays with a smile is an acceptable goal. Meanwhile, I hope you’ll enjoy these seven things. I could use your input on my personal challenges (see below). 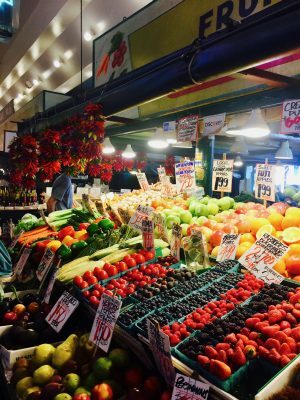 PICTURE TO SHARE – Pike’s Place Market is one of my favorite places to explore. I think I need an office around here someday when the kids are bigger. But here’s a little snapshot of it’s vast hallways filled with things like this. Josh Waitzkin is a pretty fascinating guy. The book and movie Searching for Bobby Fischer were based on his childhood. Considered a chess prodigy growing up, Waitzkin has perfected learning strategies that span all crafts. He’s also a black belt in Brazilian jiu-jitsu and a world champion in Tai Chi push hands. He coaches top athletes and investors, and he has a great book for anyone who enjoys learning, who teaches, or parents – The Art of Learning. This concept is to focus on the very smallest elements in a field (chess, martial arts, writing, cooking, anything) so to internalize powerful macros principles in every area. To me, as I’m pondering this, it’s I should start with the strongest basics to get the core foundation and build upon from there to understand the essence of a craft, and ultimately develop that craft in a better way. I’m applying this in a few areas – or trying to. One is while revising a book that my daughter and I wrote a number of years ago. I took a break from editing this week and started breaking down the micro pieces of the story. What elements do we want at its core, or at the core of all stories (I broke down both). This can somewhat be done when people are putting together a pitch – it’s a micro of the story – but I went further and tried to get very small, down to the simple words that are the core of this story and all stories. I’m also working to apply this “learning the macro from the micro” in exercise and healthy eating. More on that another day. Does this stir any ideas for learning something new or improving on a craft? I’d love your thoughts in the comments below. You can find more about Josh and this subject in these podcasts and in the new book that I’m buying myself, Tools of Titans by Tim Ferriss. I buy at least one book for myself every year during the holidays. I could wait, have it on the list, but I want it DURING the holidays as part of the tradition, not at the end. 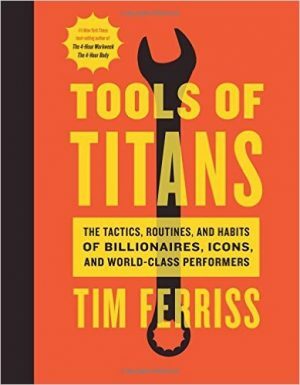 So this year, it’s Tools of Titans by Tim Ferriss. I find it utterly fascinating to discover the processes and thoughts of world-class performers in various fields. This book should have it all, and I’m pretty confident of that since I’ve listened to most of the podcasts these are based on. But now I can highlight great quotes, morning routines, strategies I could never have thought up on my own. See why I can’t wait for Christmas? I love oldies holiday music at Christmastime. My 19-year-old son thinks 80’s music is “classic,” and I almost punched him over that, but I’m talking 40’s music, Edith Piaf, Frank Sinatra, and the likes. Oh and then there’s Andrea Bocheli who is not a classic, but a holiday must. When I change it up on Pandora or Spotify (same 19-year-old is trying to transition me to Spotify – it’s a slow move), I go with Coldplay’s Holiday, Michael Buble, Josh Grobin, and a new favorite my awesome friend Amanda recommended – Jack Johnson’s Holiday Channel with a lot of Hawaiian Christmas songs. Norah and Dan – click on that and give yourself a heartwarming gift! 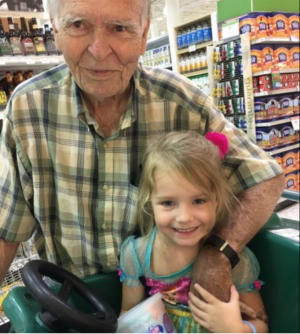 This story will inspire you to spend some extra time with the more mature people (Norah calls them “old persons”) in your family, neighborhood, or even at the local grocery store. I really admire Norah’s mom Tara (mother of SEVEN children). It’s easy to be busy with life, yet she took the time to follow up with Dan and keep this relationship going. It’s precious stuff here. And I love that Dan spent Thanksgiving with the Wood family. The future is coming fast – hang on and go with it (what else can we do?)! This is a little freaky, mind-shifting, and exciting. 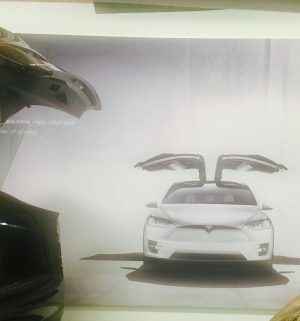 Over the summer, my friend Jenna and I went to a Tesla showroom, and I must admit – I LOVED their vehicles. I’m looking forward to safer Seattle highways in the future because sad as it sounds, I trust the computer more than humans who fall asleep, drive impaired, and get road rage and shoot each other. Watch and enjoy. 7. Habit Tips & My Personal Challenges: I have a few problems. One is called nachos. I usually eat a low carb, low sugar, veggie and healthy protein/fats diet. But oh, the lure of nachos! They aren’t even fancy. Most times it’s just organic tortilla chips (corn or blue) and Dubliner Irish cheese microwaved till bubbling and sometimes some black beans and salsa…oh yes, this why I can’t stop eating them! My mouth is watering just writing this. Just a normal nacho day – this with some blue and corn chips, sharp and dubliner Irish cheese, and some chicken to make me feel less guilty. 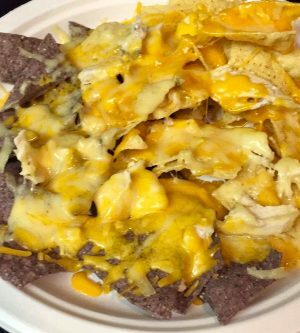 ANYWAY, that’s one problem I’m working on – cutting back on the nachos. The other, more troubling and less delicious, I’ve been in a bit of a loop lately. I almost finish a lot of things, then I hop to the next thing or delay or drag or lose my place or something. So, I’m going back to what works (for me and maybe you) when it comes to habit changes. Accountability. Writing my challenges in public is one thing that works for me or telling a few friends. A few days ago, I was writing in bed thinking I might just stay there all day (maybe a nacho party with the kids), but I told a friend that I was going to turn on Christmas music and also workout. As soon as I wrote it, I thought, “No, I’m not. I don’t want to do ANYTHING but sit here and write (or pretend to write).” But since I told the person and I like to stick with what I say, I did exactly that. I had the mental image of me crawling out of a very muddy dark well (ala The Ring), it felt that hard and I felt almost that bad until I was up and halfway through a workout. Soon I felt better. Then Christmas music, and I felt WAY better. I guess this introvert needs people after all. Accountability helps. Rewards. Then yesterday, my other awesome friend Jenna offered me a prize if I hit three days of finishing two goals a day. Now Jenna sent me a great prize like this last winter, and seriously, it helped me! It’s helping me again. Who would’ve thought?! She’s going to come up with some goals, but since I’m awful about mailing things, her prize will be a dinner in Seattle when she’d up in January. So you may want to ask a friend to offer you prizes for met goals. Baby Steps. For me, small accomplishments invariably lead to big ones. Hey, that’s similar to the micro for the macro again. I have very big goals, and they can get lost in not taking the small steps to get there. So what little thing today? Maybe it’s writing only 500 words, or only 2000 words on a manuscript (baby steps are different at different times), or maybe it’s organizing the closets or clean house for two hours so I can move on to the next thing and feel at peace. )We all have our own things here.) Maybe it’s a mini workout, making our bed, folding the laundry and putting it away, completing those phone calls or emails I’ve been putting off. You get the idea. Do a few little things, maybe only two a day, and see how that snowballs into big accomplishments. It’s happened to me before, so I’m counting on it. Slow, Slow. In all the hurry hurry of the season, I need mental and spiritual space to accomplish anything with joy, which is how I want to accomplish things. I’ve been struggling a tad with that too, so I’m scheduling in more simple moments with the kids – on the floor doing puzzles, cookies, gingerbread houses, and enjoying how they view the world and process things. I really NEED moments here and there all day long for time with God, prayer, meditation, and just breathing in the view of trees, rain, water, and sky. Savoring breath and thanking God for the specifics micro to macros in our lives (a warm house, the feel of a little hand in mine), choosing joy every day…these make all the difference. Guess what, this blog post is finishing something. The one inspires another, so here we go! What about you? Any personal challenges to confess? Any tips that work for you? Next time, I’ll include some writing tips and tools. Please sign up for my newsletter (there should be a button right over there at the right). I’ll be so grateful that I’ll mentally do your laundry as appreciation. Savor this season with some slow, slow moments! I have had trouble with finishing too. What is working for me, is thinking about finishing as being keeping a promise to myself. I realized earlier this year that confidence in oneself is improved by keeping promises to yourself. This has helped me. Thanks for a great post good job we will talk more soon.